Clockwork Goblin Miniatures has a 3D render WIP up of their Cultist of the Old Gods. 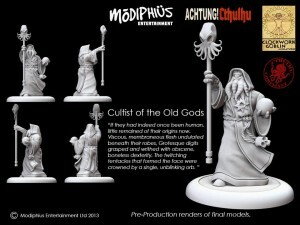 The cultist of the old one figure! I'm still tweaking this one for more dynamic cloth on the robe hem but its looking nice!